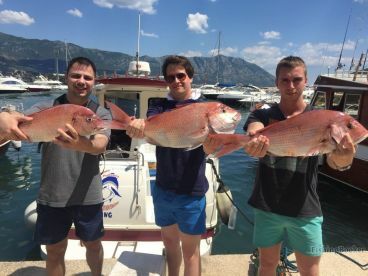 If you’re looking to experience the best fishing that beautiful Budva, Montenegro has to offer, you can’t go wrong with Captain Banjo and his crew! 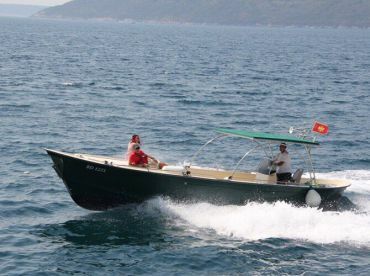 Captain Banjo (Branislav) is one of the best in Budva, and with him, you have guaranteed catch, fun, and excitement. He has been catching fish in these waters more than 30 years – he knows this sea like the back of his hand, and he’ll show you all the hotspots for all fishing types. 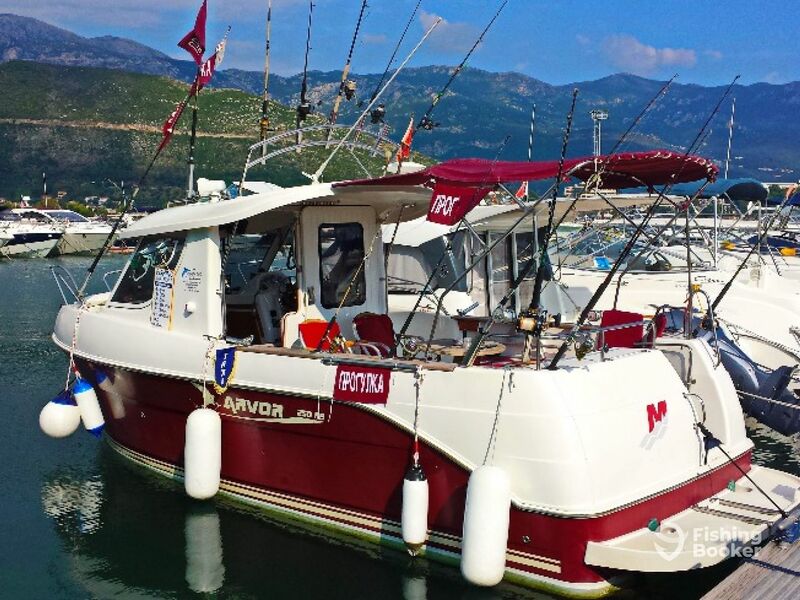 His beauty queen, a 27’ Arvor 250 AS boat, has all the necessary equipment for big game fishing. It comes with GPS, fishfinder, life jackets, an ice-box, spearfishing equipment, and a multimedia system. The boat also features a restroom. It can take up to 6 anglers of all ages and skill levels. Captain Banjo will do everything in his power to put you on the catch of your dreams. 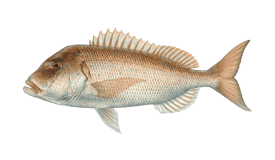 You’ll be targeting Dentex and Swordfish, mostly focusing on bottom fishing, jigging, popping, handlining, and even spearfishing. Drinks and fishing licenses are included in the price. You’ll get to keep your catch, and the first mate will be happy to clean and fillet it for you to take home, so tips for his efforts are appreciated. Captain Banjo is waiting for you, so let the games begin! There's nothing better than fishing with an experienced crew for 8 hours! 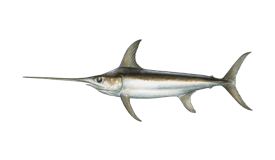 You'll be targeting mighty Swordfish, and Dentex and the captain will show you all the hotspots. 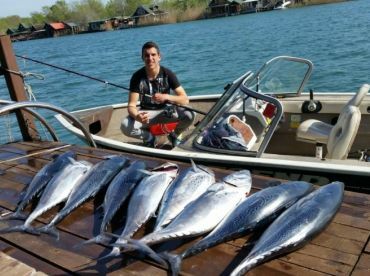 If you don't want to spend the whole day on the water, but still want to catch some amazing fish, this is the trip for you! You'll be fishing for Swordfish and Dentex for 4 hours in the morning. Captain Stefan Jelusic has been fishing for over 25 years. His grandfather first got him into fishing all those years ago. He has been a captain for over a decade now and loves trolling the most. He is excited to welcome you on board and start making some great fishing memories together.